Helen Battellino, Manager of the ABS (Accessible Bridge Services Inc) Regional Co-ordination Office, Kain Allen, General Manager of Manly Warringah Pittwater Community Transport – NOW Easy Transport and Hon. Bronwyn Bishop, Federal MP for Mackellar. Picture by A J Guesdon. The Saturday afternoon launch of new premises, a new name and a new website showcased and celebrated some of our finest volunteers as part of National Volunteers Week 2013. Apart from hearing from those who use this vital service, learning more about this great community organisation, the Hon. 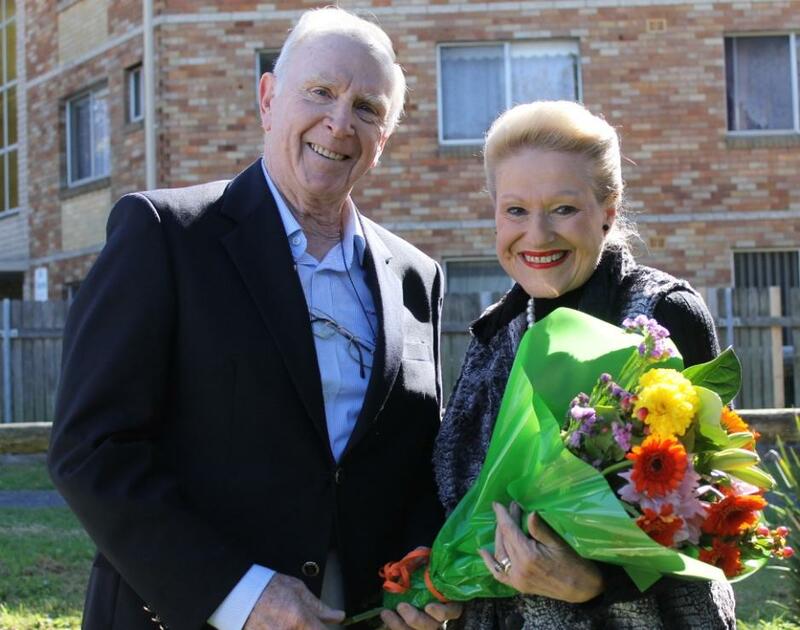 Bronwyn Bishop also shared some insights into her current focus as shadow Minister for Seniors. On Saturday morning the Manly Warringah Pittwater Community Transport service officially opened their brand new premises at 30 Howard Avenue Dee Why and launched their brand new website, filled with information and where you may now book online exactly what you need, as well as let all attending know that the more specific name ‘Easy Transport’ has now become official. As always we spoke to those who use this service to get their perspective and were fortunate to meet four lovely ladies from Newport and Avalon respectively. Rita Stark, Molly Brooks, Maureen Bonny and Joyce Crumpton spoke glowingly of John Wilson, volunteer driver for eight years, and of all the services they have had provided for them, some of which they couldn’t do without. High on the ‘vital’ list was a fortnightly shopping trip or arranging transport for doctors appointments or hospital visits. Their favourite is the fortnightly Mystery Tour, the most recent of which took them to Centennial Park and the Botanical Gardens. The girls raved about how John is so knowledgeable on all things Sydney and provides commentary and insights on every place he takes them to. John and wife Judith, “a gem” also hold a Christmas Party at their home each year and part of this is a tour of the Christmas Lights display on homes at Davidson. Left to right: Rita Stark, Molly Brooks, Maureen Bonny and Joyce Crumpton with John Wilson. John shrugged off their praise stating he gets a lot of pleasure out of his work as a volunteer. How personal and connected to those they care for these volunteers are is underlined in a quarterly celebration of those whose birthdays have fallen during those months by having a cake, by ensuring each person is celebrated by giving them a card and scratchie. Small things you don’t see and don’t often hear about are what make and keep heart in community. Saturday was a day to celebrate the huge contribution the 70 volunteers who work at Easy Transport Manly Warringah Pittwater make though. Three other great reasons, the launch of an interactive website where you may now source and book what you need online, the opening of new premises more suited to what this organisation wishes to provide and officially shifting to a name you don’t need long breaths for, indicate the dynamic side of Easy Transport Manly Warringah Pittwater where changing needs are being anticipated and met. Thank you all very much for coming along to help us celebrate National Volunteers Week by officially opening our new office here at 30 Howard Ave and also Launching our NEW revamped WEBSITE. I am very proud of this organisation and what it has achieved and I am also very proud of our dedicated team who always give 110%. Easy Transport has grown significantly over the past few years, each year providing around 39,000 passenger trips, turning over more than one million dollars. We now have 70 volunteers on the books, 13 staff and a fleet of 13 vehicles with a seating capacity of 150. To steer all this we have a very professional and forward thinking Board of Management who set the direction for the organisation and then let us get on with the Job. Many of our Board Members have been participating for a number of years and we have two that also volunteer their time as Community Transport Drivers. As some of you may know there are many unknowns on the horizon in regards to models of funding for Community Services and this includes traditional block funding for Community Transport. Though we are uncertain of what these changes might consist of or what they may look like Easy Transport sees an opportunity in this changing environment to partner and work more collaboratively with other service providers including Community Groups, NSW Health, Medicare locals and others. Doing this we will be able to offer more effective and efficient transport solutions to help meet growing demand. In opening our new offices and launching our new website Easy Transport is looking to the future. This office as you can see has improved access. There is more parking for clients, staff and volunteers, it is a flat walk to the shops for those waiting for linking services, it is conveniently located on a bus stop and there is plenty of room for passengers to wait in our transit lounge for our North Shore Services. It really is a great site. We couldn't of have wished for anything better. Our new website makes it EASY for Service Providers, Community Members, Carers and Family Members to REGISTER, REFER, BOOK and QUOTE journeys ONLINE. This is a huge step forward not just for Easy Transport but for the industry. We believe that with the intended introduction of consumer directed care an EASY to use system and the use of technology is fundamental. As a matter of fact when we did a soft launch of our website on Wednesday at 14.00, at 14.15 we had our first online referral form a man in Seaforth looking for transport for his mother. Shaun from Digital Lounge did a wonderful job so thank you Shaun. 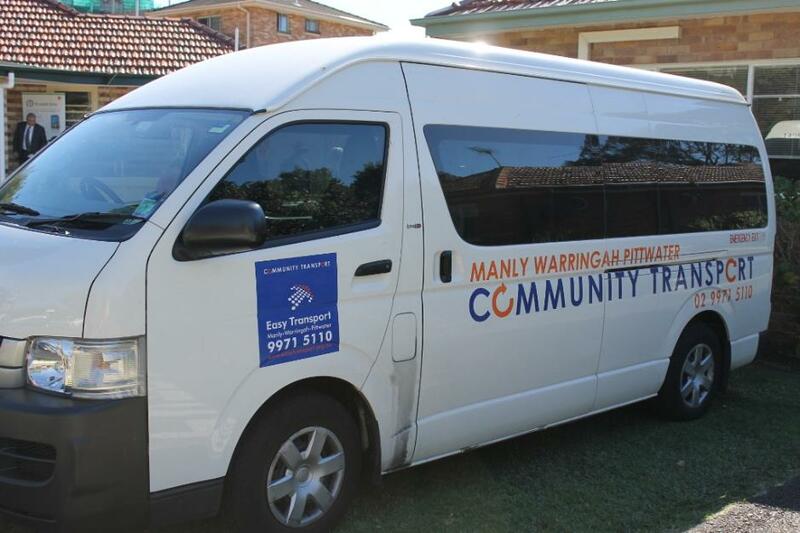 In terms of Technology, Easy Transport commenced using Health Management Systems in July last year and we are the First Community Transport group in NSW to do so. HMS and TRANSIT is a software solution that matches client needs to our vehicles. HMS TRANSIT also auto allocates pick up and drop of times for our drivers. TRANSIT has cut our scheduling times dramatically for individual transport services and has assisted us in moving to a more flexible per kilometre rate for our customers. TRANSIT will certainly assist Easy Transport to get the best client and efficiency outcomes as we move forward. Yes there is still a bit to do and we are working closely with HMS to make sure the system continues to meet our evolving needs. A couple of thank you's; To our Volunteers who do an absolutely wonderful job. They provide thousands of hours of community support each year by giving up their time either driving our clients, supporting clients by assisting them on and off of vehicles, assisting us with the fleet maintenance schedule, or helping out in the office and transit lounge area. All of this of course improves social inclusion for residents living on the beaches. You all do a wonderful job. We really appreciate it and we could not achieve what we do without your effort and support. We appreciate the support that Warringah Council has provided. This opening would not have been possible had it not been for support of council. In addition to 30 Howard Ave Warringah Council also provides Easy Transport the use of a fully accessible 18 Seat Toyota Coaster and space to house the Easy Transport fleet down at the Middleton Road Depot. During our office relocation Warringah's Community Service Staff were a massive help especially Caroline Psaltis and Cameron Lanchley. 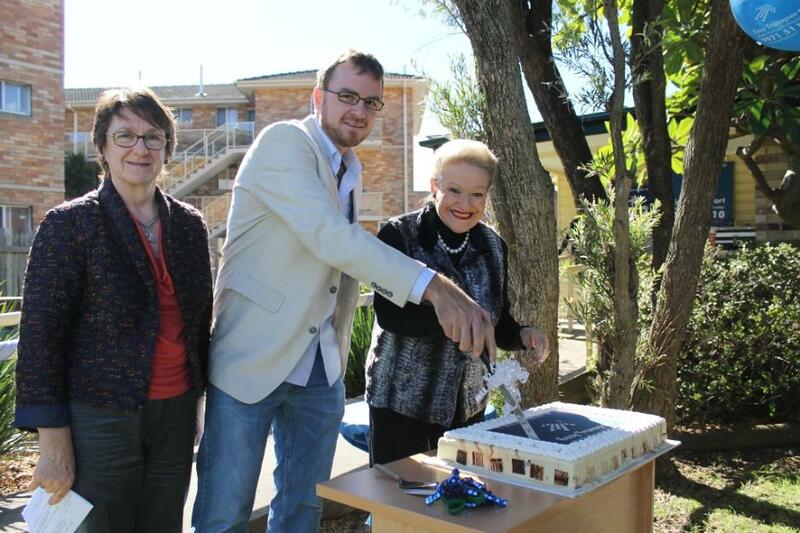 So a big thanks to Warringah council and we look forward to our continued collaboration. I would like to thank the Dee Why branch of the Rotary Club who is here today helping us with the catering. I would like to thank the Launch Team Patti and Angela top job!!! Finally I just wanted to say how important Easy Transport and organisations just like it are to local communities. Community Businesses such as this one enable people to access the services they need quickly and hassle free. Community Businesses are also in a fantastic position to promptly respond to local needs as they arise. I encourage all levels of Government to recognise the contribution that we all make and to support us accordingly. Donna Johnston and Ann Tattam, also volunteers, in charge of sample bags on Saturday. Thank you very much and can I just say to Kain, congratulations for bringing together the newness of technology with the eternally important question of volunteers giving of their services to enable their own community to be able to have communication with the rest of our area by having transport to get around, nothing could be more important. When Tony Abbot asked me to be the Minister for Seniors I was delighted to and am delighted to tell you that should we be successful on the 14th of September, only 121 sleeps to go (laughter from crowd) but whose counting, should we be successful I will be the Minister for Seniors, taking the commitment we have made into Government Forums. As part of that portfolio recognising and servicing community groups is part and parcel of what we regard as important. I very often say that volunteers are like the mortar between the bricks that hold an edifice together. Without the mortar it would all collapse. That is absolutely true of this organisation. Without the volunteers the service couldn’t be provided. Here again is an excellent example of volunteers who are working in an organisation or running an organisation and yet they are totally professional. In launching the updated website and the new premises, and the new name, as I do like the new name ‘Easy Transport’; when we had to say all the council’s names everytime we wanted to mention it, it was quite a mouthful and it didn’t really describe what was happening, we are fortunate to have the councils committed to ensuring that this service is able to be delivered. When we have the plethora of methods for funding we have had, and we now have had in two stages as, under Mr Rudd, he took over the last 40 cents of the dollar that came from State Government for HACC Funding(Commonwealth Home and Community Care (HACC) Program), but only for Aged Care, so for Disabilities State Government still puts in the 40 cents, you get a crossover of people who are both in the Aged Care system but have a disability, who’s paying the bill? ; there is definitely a case for rationalisation in this area. Of course with the new NDIS transport is going to be very much part and parcel of the services that are going to be needed. The NDIS is a policy which is quite unique because it has the backing of all sides of parliament. What we need now is to see the detail and how it’s going to work and how people are going to get the services that have been sadly missing for a lot of people over time. Transport has been at the forefront. The ability to have a reliable and a system of transport where the people involved care about their customers, care about the people who are using the service, is again vitally important. Because we care about everyone in our society we have an obligation to make sure that we are looking after people when they need that care. That applies whether it’s because of a catastrophic accident or because of a chronic disease or whatever it is, we have an obligation. One of the things that upsets me about the NDIS, and we’re going to work hard on this, is that if you are over 65 you’re not covered. We will need to have a look at how the integrated services are going to be applied in a very careful way. I hope some of that will fall to me should we be successful. When people talk about our aging population I say it’s a cause of great joy that people are living longer and healthier lives. I get very cranky when I hear ministers talk about doom and gloom and about how we’re going to have fewer and fewer people supporting more and more who aren’t earning anything. Well, I say that’s rubbish; trying to tell you that everybody doesn’t contribute anything in tax. They do; everybody pays the GST, people pay rates, people are paying taxes that are hidden taxes; everybody is making a contribution. And that’s what is important; that we don’t get into the business of saying somebody’s contribution is better then somebody else’s. Everybody is making a contribution. In coming to say how delighted I am that the new premises have been made available for Easy Transport and that the new sophisticated website has been launched, and I say sophisticated in the sense that it will be modern and accessible, it has been put together using the best skills to provide the required services and represents that meld of technology with experience, I would like to speak about this meld of experience and technology. One of the things I look at in the shadow portfolio for Seniors is, and you may well ask ‘what is a senior?’; for the purposes of the portfolio, if you’re over 50, you’re in!, is looking at a lot of workforce issues, people who might find themselves redundant at 55 and can’t get back into the workforce. In looking at all those areas it is always uppermost in my mind that every single solitary Australian matters and is important whether they’re the quietest people in the land, somebody who’s getting along just fine, or someone who is disabled or someone who is disadvantaged. Everyone is important in making policy so that we can see the Australian people prosper. In that context of the workforce issues I work with the concept of melding knowledge and wisdom with new technology. I’m working with large firms and part of the policy we’ve introduced is mentoring but not the sort of mentoring that is practiced at present where someone remains in the paid workforce, mentors a younger person until the younger person has all the knowledge and then you’re out the door but rather to have mutual mentoring where the older person mentors the younger person and the younger person mentors the older person to keep them up to date with technology, so that both stay in the workforce. This way you get the benefit of corporate knowledge and wisdom and experience together with the newest technology. I think there’s an analogy here today for what you’re doing bringing in up to date technology to make a more efficient running service, to make good use of a website and how that can interact with the people who are using it but most importantly, it all is designed to ensure that the service delivered is the one that is needed and the one that suits the needs of the people. We need to hear from you about this service and your use of it and how it may be further improved to suit those using it. So congratulations to Helen and to you Kain and congratulations to all the volunteers who are here this morning. Without you it couldn’t work. John Wilson, President of the Board who has enjoyed eight years of being a volunteer driver now and the gentleman praised so highly by our Avalon and Newport ladies, took the opportunity to thank all the volunteers, letting them know they are 70 out of the 6.4 million Australians in Australia who work in some voluntary capacity every single year. Australia may be deemed rich and lucky by those standing outside looking in but it is the people who give so much or even a little every week of every year that make us so, all six and half million of you. The wide range of services and information provided ONLINE can be seen by exploring the new website below. 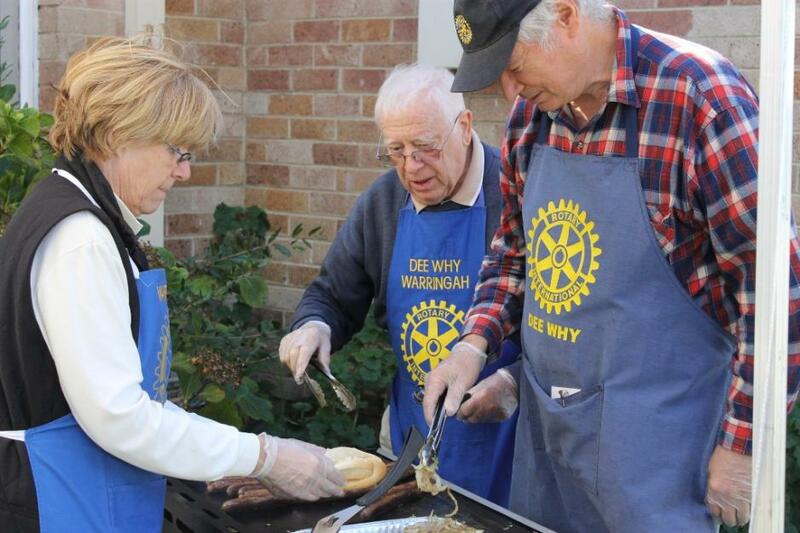 Rotary Club of Dee Why - Warringah members at BBQ. John Wilson and Hon. Bronwyn Bishop.